Vali Greceanu Photography respecta caracterul privat si securitatea informatiei furnizate de catre dumneavoastra atunci cand utilizati acest website, inclusiv a datelor cu caracter personal, scop in care a creat si aplica prezenta Politica de confidentialitate. Urmatoarele reguli stabilesc politica de confidentialitate promovata de Vali Greceanu Photography. Aceasta politica explica in ce mod utilizam noi orice tip de informatie personala pe care ni l-ati putea oferi pe oricare dintre site-urile noastre de web. Un cookie este o informatie stocata pe hard drive-ul computerului dumneavoastra de catre browser-ul dumneavoastra de web. La revizitarea unor site-uri ale noastre, server-ul nostru va recunoaste acest cookie, oferindu-ne informatii despre ultima dumneavoastra vizita. Google, ca un furnizor tert, foloseste cookie-uri pentru a difuza anunturi pe acest site. Utilizarea modulului cookie DART de catre Google face posibila difuzarea de anunturi catre utilizatorii dvs. pe baza accesarii de catre acestia a site-urilor dvs. si a altor site-uri de pe Internet. Vali Greceanu Photography, which operates the Internet site located at www.valigreceanuphotographt.blogspot.ro, recognizes the importance of protecting the privacy of personally identifiable information collected about visitors to our sites. As a general policy, no personally identifiable information, such as your name, address or email address, is automatically collected from visitors to our sites. Personally identifiable information about visitors to our sites is collected only when knowingly and voluntarily submitted. We may collect certain non-personal information to optimize our Web pages for your computer (i.e., the identity of your Internet browser, the type of operating system you use, your IP address and the domain name of your Internet service provider). We may use such non-personal information for internal purposes, including but not limited to improving the content of our sites. Vali Greceanu Photography will notify you when we are collecting personally identifiable information about you and how we intend to use it. For example, we may need to collect such information to provide you with information you requested, in connection with entry forms, or in connection with community postings such as chat and bulletin boards. However, at the time of collection, you will have the option of instructing us not to send you additional information or share your personal information with third parties. 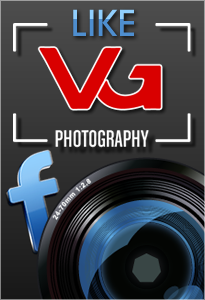 Vali Greceanu Photography is not responsible for the privacy policies or practices of our business partners. Vali Greceanu Photography may use reputable third parties to manage activities available on our sites including, but not limited to statistical analysis, or chats. These parties may have access to personally identifiable information submitted by visitors who participate in those activities. Please remember that any information posted on bulletin boards and/or communicated in chat areas becomes public information. You should use caution when sharing information as any of it can be collected and used by people you may not know. Users under the age of 18 should be particularly careful not to divulge any personal information. While Vali Greceanu Photography strives to protect and respect your privacy, we can not guarantee the security of any information you disclose in a chat room or bulletin board and you do so at your own risk. 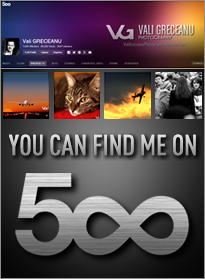 Vali Greceanu Photography may use personally identifiable information in aggregate form to make our sites better and more responsive to the needs of our visitors. This statistical compilation and analysis of information may also be used by Vali Greceanu Photography or provided to others, in aggregate, for marketing, advertising or research purposes. If at any time after submitting your personal information to our sites you would no longer like to receive information from us, simply follow the “unsubscribe” directions at the end of any email communication you receive. Vali Greceanu Photography does not knowingly collect personally identifiable information from children under the age of 13. Personal information may be disclosed in special situations where Vali Greceanu Photography has reason to believe that doing so is necessary to identify, contact or bring legal action against anyone damaging, injuring, or interfering (intentionally or unintentionally) with Vali Greceanu Photography rights, property, users, or anyone else who could be harmed by such activities. Also, Vali Greceanu Photography may reveal information when we believe in good faith that the law requires it. Vali Greceanu Photography maintains appropriate safeguards to ensure the security, integrity and privacy of personally identifiable information submitted to our sites, and periodically reviews and updates its security measures in light of current technologies. Unfortunately, no data transmission over the Internet can be guaranteed to be totally secure. Although Vali Greceanu Photography strives to protect your personal information, we can not ensure or warranty the security of any information you may transmit to us. This is done so at your own risk. Once we do receive your transmission, however, we make our best effort to ensure its security on our systems. * Nota: Fotografiile sunt protejate de legea Dreptului de Autor (LEGE nr.8 din 14 martie 1996 privind dreptul de autor şi drepturile conexe ) si orice incercare de utilizare a acestor fotografii fara dreptul explicit al autorului, se pedepseste conform legii in vigoare.